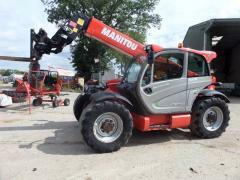 Second-hand telescopic loader of Manitou MLT 840-137 Agri. Unbelievable price on Narrow aisle truck in Kiev (Ukraine) company Evrotehlogistik, OOO. Wide choice of quality products at affordable prices.